Extend PoE beyond 90 meters! 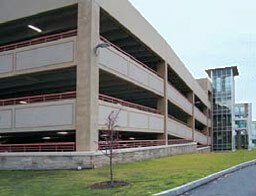 You may be adding security cameras to your office building or constructing a new parking garage. Perhaps you are installing the security system in a distribution center or adding cameras to an airport security network. 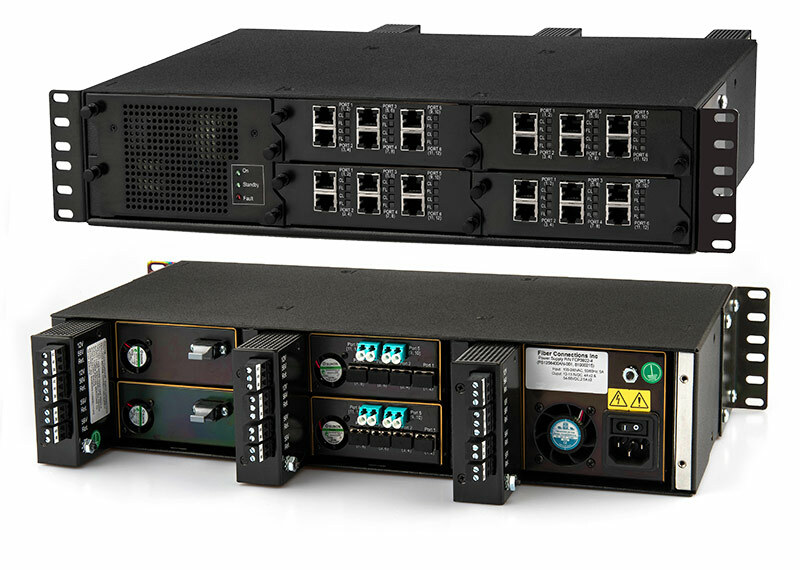 Whatever your application, our Media Conversion & PoE Extension system can provide the network components to reach your IP cameras and configure your equipment closet – using our unique line of optical and electrical components. A typical security camera installation would start with a power patch panel in the equipment room. We supply pre-terminated, hybrid cables with both fiber and copper ready to connect. This cable design provides a simple, one pull solution to our GatorLink units, which can be located almost 5000 meters from the ‘head end’. A UTP (CAT 5 or 6) cable connection from the GatorLink to the camera, up to 90 meters away, completes the connection. This provides power and data for your entire system. With all the options available, an extended media conversion and PoE solution can easily be custom designed for your specific network needs. Fiber Connections now offers an outdoor (IP67) rated GatorLink for outdoor and harsh environment applications. No need to run power outlets to your remote camera locations. Locate PoE equipment more than 90 meters from your switch. Feed all your remote locations through a secured power source including back-up power in one location. Bring fiber and power to your remote locations with 1 cable pull. Remote media conversion in a compact, multi-port package. 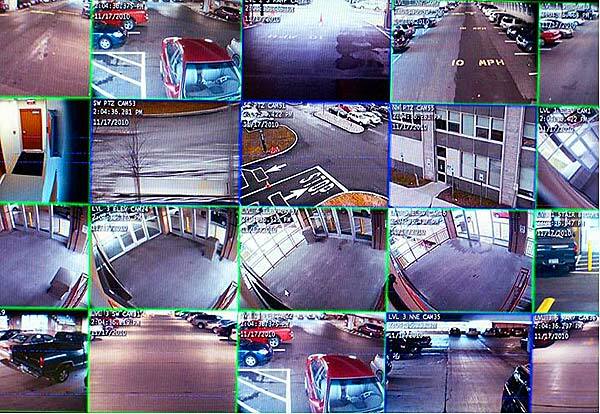 In this network example, we take security cameras to a multi-story parking garage – to be positioned in various locations on each floor. There are 8 cameras on the first floor and 6 each on the 2nd and 3rd floor. The equipment room is in the security office near the monitoring station. Power Patch Panel – Holds up to 288 fibers and provides central media conversion and power to the entire network. Available in 2U and 4U sizes, each accepting slide in Power Supply and Media modules. 2U panel will accommodate up to 2 power supply modules and 4U will accommodate up to 3 which provides up to 500 and 750 watts of power respectively. Media Modules can be configured many different ways with respect to port count, fiber type, connector types and network speeds. Hybrid cables – Fiber for data and copper for power – all in one easy to install package. Cables are available in various fiber/copper configurations and can be pre-terminated in our factory with various connector types. Some cable configurations can be terminated on site. GatorLink – Brings media conversion and PoE to your remote devices. 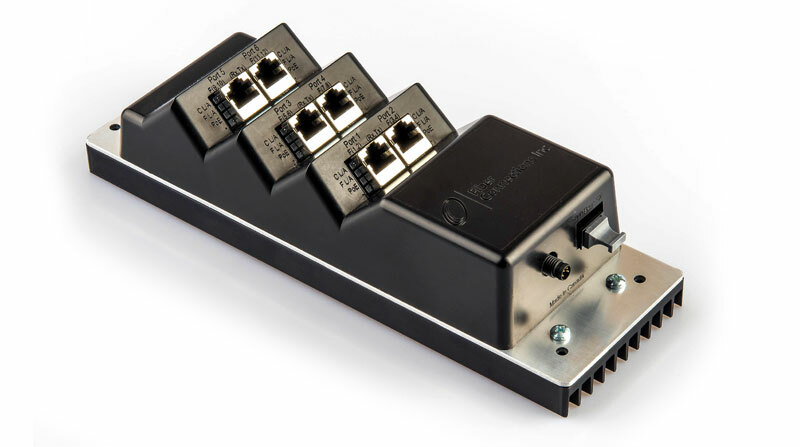 The GatorLink is available in many different configurations with respect to port count, fiber type, connector types and network speeds. PoE: 44-56VDC in PoE (15W), PoE+(30w) and PoE++(60w) power outputs, PD detection for safety, over current protection.